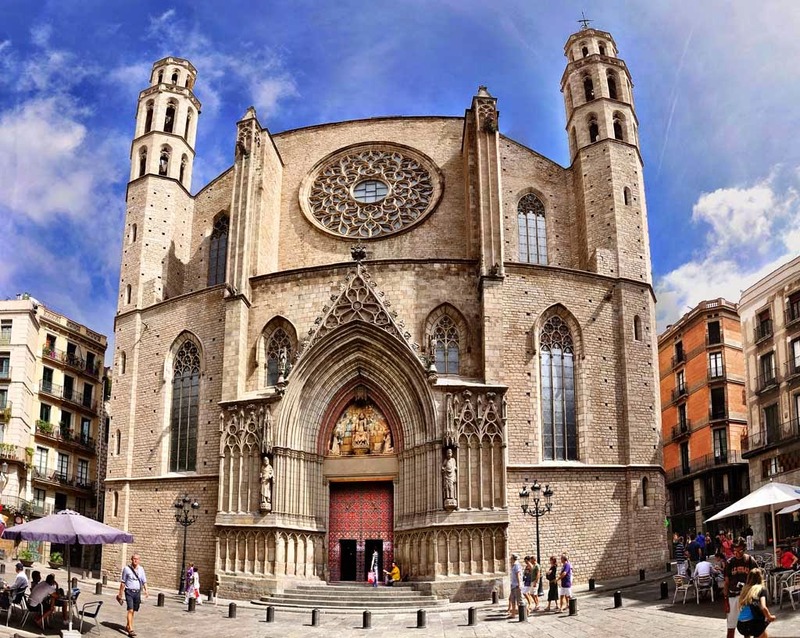 Whenever you visit Barcelona Santa Maria Del Mar Church in other words Cathedral of Libera, it is waiting for you standing with its outstanding presence in the centre of the city. Basilica of Santa Maria Del Mar which is one of the must see places in Barcelona city has a particular importance with being the single Gothic church surviving in Barcelona. As in the Middle Ages, the architecture world had started to experience a change and besides generally most of the churches' construction continued nearly more than a century but Santa Maria Del Mar Church was built only in 55 years in the heart of the city in order to provide merchants and shipwrights' worship in the city. 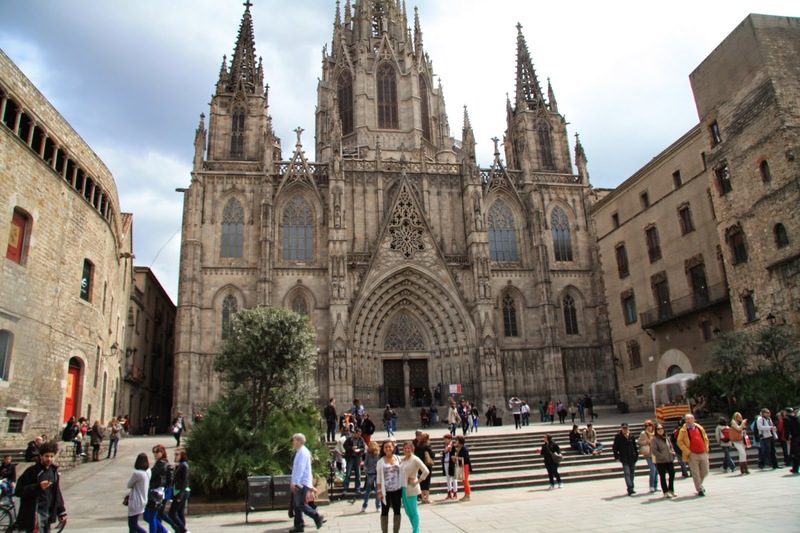 The most outstanding virtue of the church is being a Gothic church in Barcelona city. When we look at its history we can see that it was built in 14th century and the construction began in 1329 and continued till 1383. The architects were Berenguer de Montagut and Ramon Despuig. The interesting and fascinating situation is that porters of the city carried huge stones on their backs from quarries located in Montjuic. Their faith and effort is undeniable. Santa Maria Del Mar has three façades. The main façade is located in the square of Santa Maria. The second one is in Santa Maria street and the third façade is in Paseo Del Born. When you try to inspect the basilica from outside it is impossible to see a a whole perspective due to narrow streets surrounding the church but the tall columns which are 13 meters apart give the impression of airiness and relaxing atmosphere inside the basilica. Apart from these qualifications, the window of ascension and the lavabo in the chapel of Sant Rafael and the great rose windows are the other amazing features of Santa Maria Del Mar Church. Even though an earthquake in 1428 caused a big damage to the latter part of the basilica and the images and the Baraque altar were destroyed in the fire in 1936, Santa Maria Del Mar is still standing in the heart of the city with its all astonishing appearance. If you travel Barcelona city we recommend you see Santa Maria Del Mar Church located in Ribera district in Barcelona city. For more places to visit in Barcelona city please continue to follow your Barcelona city travel guide. You will find anything you need about Barcelona city travel guide. 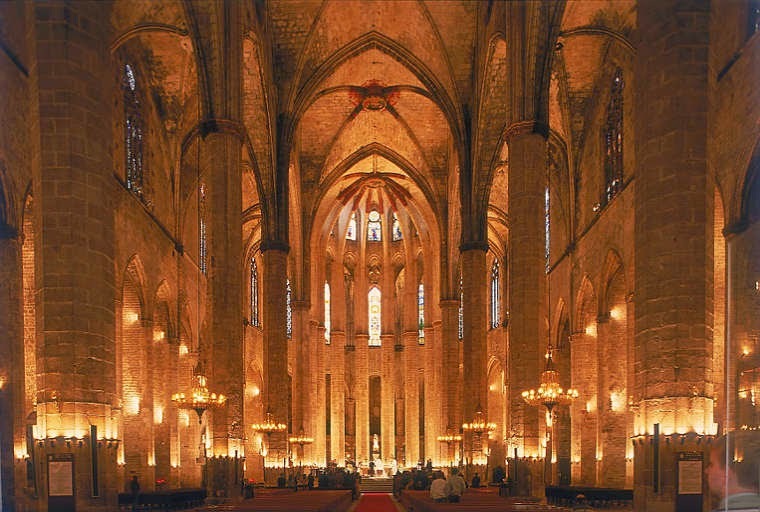 To learn about churches in Barcelona city you can check things to do in Barcelona city part at our site. Have a nice tour. Griffin's church loans seems to me the most convenient and trustworthy firm for getting loans. It's the member of NACBA. We are very lucky that we got this firm in our city and we can borrow loans in a fair interest rate from it. I have heard a lot about Shanta Maria church. I wish to build such one but I will need loan for that.I'm thinking about loan by church mortgage for church construction.A directory of lenders can help me in this way I think.